CLOSEOUTS. 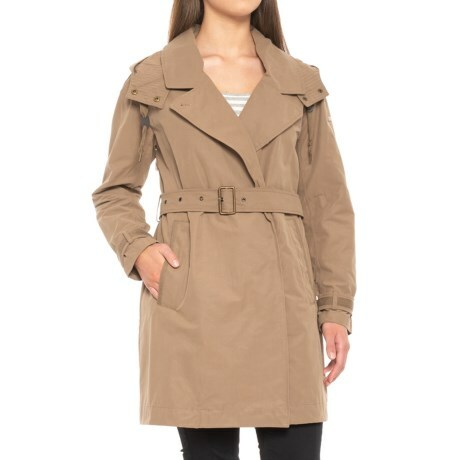 Marc New Yorkand#39;s Brooke trench coat is a classic city coat with a water-resistant shell, crossover lapels and a loose-fitting hood. Available Colors: KHAKI, CHALK. Sizes: M, L, XL, XS, S.